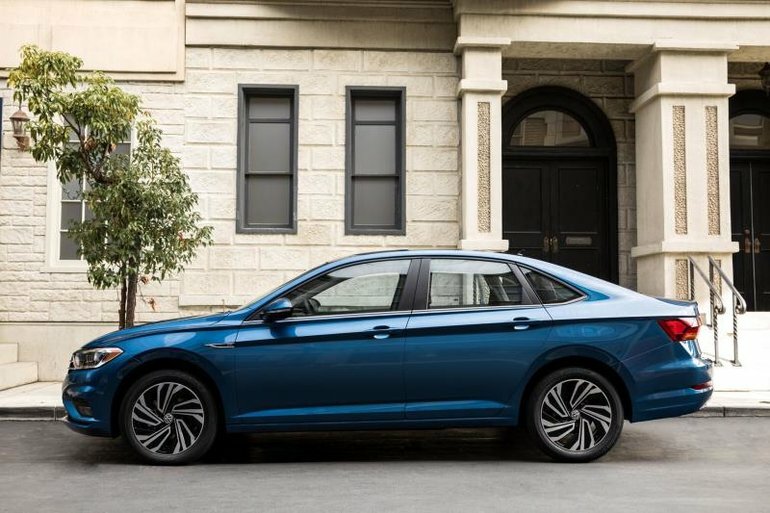 The Volkswagen Jetta was completely redesigned this year and after having a chance to drive it, the automotive press had a lot of good things to say about the new VW compact sedan. We will cover everything in detail in another text, but let’s have a look at some of the reviews that have recently come out. On the drive, the Jetta with the automatic proved to have ample pep. No, it is not going to set your heart aflutter, but the transmission shifts quickly and smoothly, and always found the right gear to make the most of the strong low- and mid-range torque. In somewhat of a surprise, the tester produced an average of 6.6 L/100 kilometres on the drive route, which is very good. The combination also proved to be very quiet at highway speeds — here the new Jetta sets a class benchmark. There is virtually no engine noise, and both wind and road noise is equally muted. It’s Lexus-like in its serenity. As for the performance, an impromptu dash saw the Jetta run from rest to 100 km/h in 8.6 seconds, which is par for the course in the segment. The latest Jetta takes some significant strides forward in every area. It has sharper looks, a swanky interior and the quietest ride in the segment. The performance is up to snuff, but those wanting more should wait for the upcoming GLI — it’s the GTI of the Jetta genre. Contact us today at Volkswagen Centre-Ville to learn more!